The mark of good television show that has plenty to say is when it delivers the answers that the viewers are looking for, yet still leaves so many more questions to be answered. 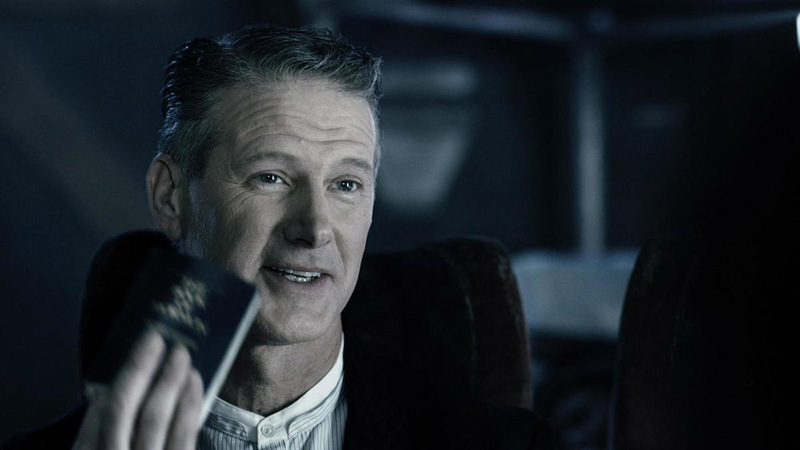 The Expanse is remarkable in the way it can hold a mystery over the head of its audience without being frustrating or slow paced. “Salvage” begins the grand third act, where the overarching mystery of the show slowly begins to unravel. When put up against the anticipation that’s been building up to this point, the answers both deliver and leave you wanting for more. Josephus Miller’s (Thomas Jane) embodies many of the tropes that define classic Film Noir Detectives. He’s the space-man version of the hard-boiled dude with a heart of gold that toes the line between deadbeat and savant. It’s the brilliant-detective side of him that led him to the connective tissue between all the seemingly disparate events and all the main characters. It’s fitting that this episode starts with him onboard a ship heading to Eros Station, which is the last known whereabouts of Julie Mao. His story works because it’s the farthest removed from the complex large-scale machinations that are tugging on other characters. He’s simply a man trying to find a woman he deigns as a good person. His conversation with a Mormon on the transport ship who is about to go on a space voyage to a distant galaxy is an interesting one because it highlights the dangers of pursuing the truth. It’s a warning of sorts for both him and those watching that what you find out, may not be what you bargained for. Miller’s story sets the appropriate backdrop for the Rocinante crew who faces that truth head-on. They find the ship Anubis tucked away inside of an asteroid. This is the ship that Julie Mao and the Scopuli went in pursuit of because of its connection with Phoebe station. It’s also the same type of attack ship that destroyed both the Canterbury and Donnager. 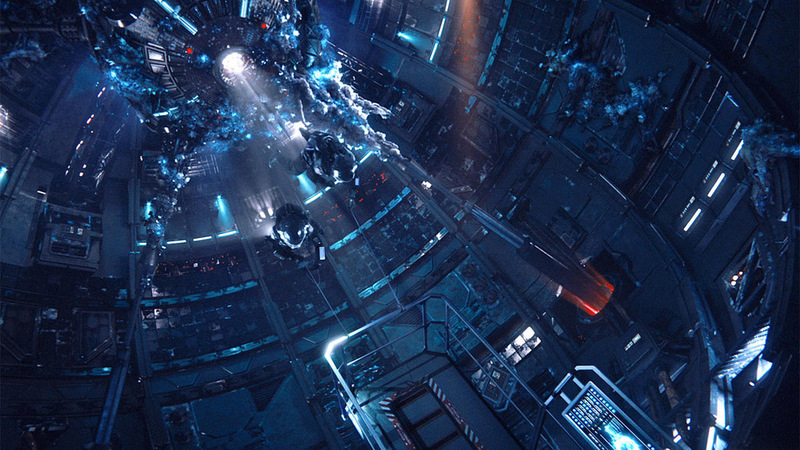 The entire episode takes on the vibe of a space thriller once Jim Holden (Steven Strait) and his crew board the ship. The ship is derelict, but all the circumstantial evidence points to something odd going on. The tension in this episode will be familiar to anybody who has watched an Alien movie, where you are just waiting for some monster to pop out of some dank corner. What Holden and crew encounter on the ship is really not far from the truth as Holden and Naomi Nagata (Dominique Tipper) confront something strange in the engine room. It compels the entire crew to flee the ship and blow it up immediately. They head to Eros station afterwards, which is the last known location of Lionel Polanski. “Salvage” finally offered up some answers at least, telling us what was so important the Julie Mao and the Outer Planets Alliance simply had to pursue the Anubis. What it carried onboard from Phoebe station is something dangerous and potentially alien, but offers little more beyond that. So the show answers one question but little else, thus maintaining its tight grip on the mystery that makes this compelling television.